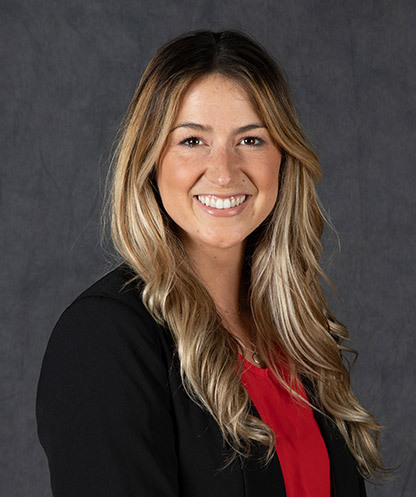 Kendall Rodriguez is starting her fourth season as the Director of Alumni and Community Outreach for the University of Utah women's basketball program. At Utah, Rodriguez is responsible for cultivating positive relationships with community members throughout the Salt Lake Valley as well as with alumni who take pride in the rich heritage of the University of Utah's women' basketball program. She also runs all of Utah’s social media accounts and is responsible for all of the creative content featured on Facebook, Instagram and Twitter. During her first season at Utah, Rodriguez contributed to a 55 percent increase at Ute home games in the Jon M. Huntsman Center. On the court, Utah doubled its win total with 18 victories compared to nine during the previous season. She has been a part of the staff that has seen the Utes advance to back-to-back post-season appearances, its first winning season since 2012-13 and two consecutive seasons receiving votes in the Top-25 polls. Rodriguez has continued to contribute to increasing home game attendance and program awareness through social media, community outreach (clinics, school assemblies, camps, etc.) and alumni functions. She also directs Fast Break Club development as well as the ball girl program, while supporting group ticket sales. Rodriguez played for Roberts at the University of the Pacific from 2009 through 2013 and was a two-time All-Big West Conference First Team selection and three-time team captain for the Tigers. During her senior season is 2012-13, Pacific won the Big West regular season title. At Pacific, Rodriguez was one of six players in school history to record more than 1,200 career points and 700 career rebounds. The La Habra, Calif., native is among the top 10 in the school record book in both scoring and rebounding: tying for sixth with 1,315 career points and ranking seventh with 743 career rebounds. She turned in 14 career double-doubles with 67 games with 10 or more points and 17 double-digit rebound outings for the Tigers. Rodriguez played professionally for the GiroLive Panthers in Osnabrück, Germany (DBBL First Division) and the McKinnon Cougars in Melbourne, Australia (BigV Conference) since graduating from the University of the Pacific in May of 2013 with a Bachelor of Arts degree in Business Marketing and a minor in Communications.